From the end of December until sometime within the first 10 days of May the surface of Lake Akan is covered with ice. 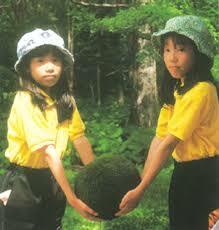 The spherical marimo residing in shallow areas of Kinetanpe Bay live in water depths of approximately 1 meter. A drop in the lake’s water level or a heavy snowfall causes the icy sheet covering the lake from December until May to sink. The heavy sheet descends inching closer and closer to the lake’s bottom exerting downward pressure on the round marimo. Through this pressure the marimo are inadvertently flattened. 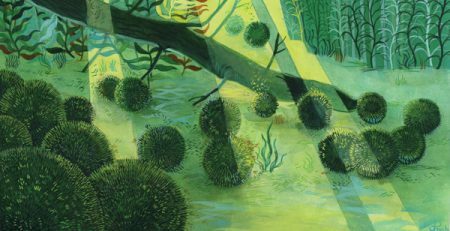 Unable by their own energies to return to their original round shape, marimo are stripped of their natural defense mechanism – their round shape. 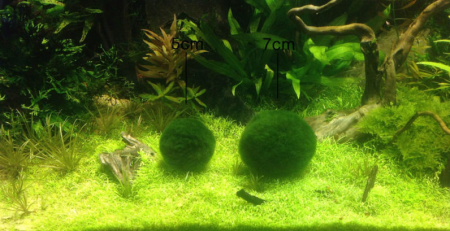 In this flattened form marimo are unable to rollover. 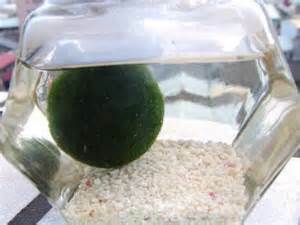 Without the ability to rotate, marimo are unable to extricate themselves from debris which becomes attached to their surface. 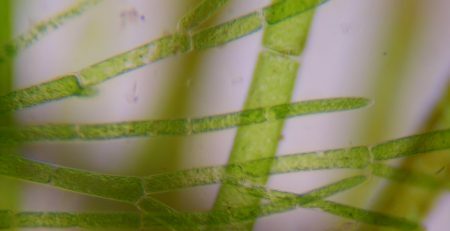 Unable to rollover and disentangle themselves from debris which has accumulated on their surfaces, marimo begin a stifling death covered in dead reed and mud. The marimo’s environment is a delicate one. 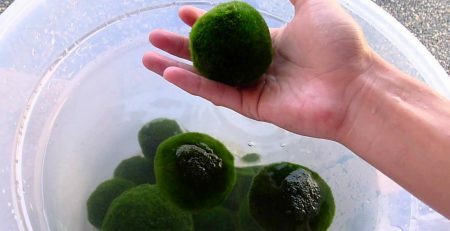 Just as the shape of those marimo living in shallow areas of the lake are affected by the lake’s icy covering, marimo living in deep areas of the lake are also affected. They are, however, affected in a slightly different way. Sunlight must penetrate the icy shield covering the lake before it can contact marimo living in the lake’s deeper recesses. 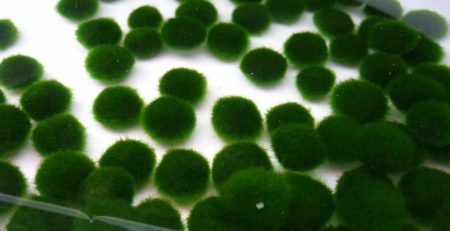 As sunlight is often unable to fully breach the ice, deep areas of the lake remain swathed in semi-darkness leaving some marimo without the the benefit of having received the sun’s rays. 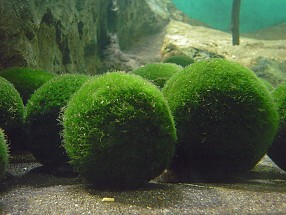 Marimo live effectively in their natural forms however their delicate living environment remains under constant threat. 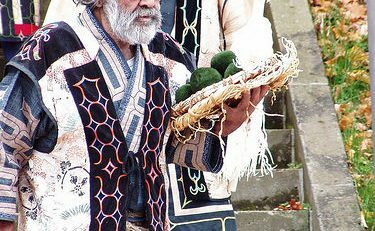 We must therefore take the protection of marimo into our own hands.